This recipe is sure a keeper! It is easy to make for any occasion or for snacking. 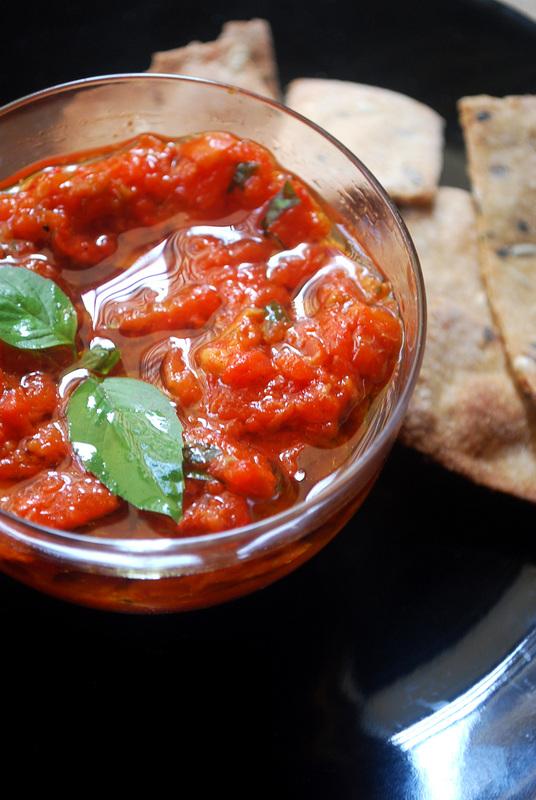 This dip can be had with pastas, crackers or can smeared on your sandwiches. Roast bell pepper on the stove top or oven. Discard the skin and the seeds. Chop roughly. Blend in all the ingredients into a course paste or use a mortar pestle. Spoon the prepared paste into the serving bowl and drizzle some olive oil on top. This dip can be refrigerated for about a week. Serves 2.